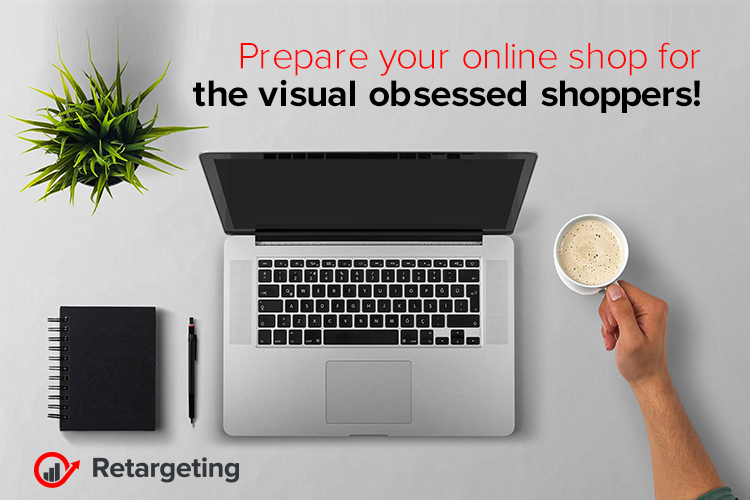 Prepare your online shop for the visual obsessed shoppers! As the visual world evolves, is important to make the difference between two concepts: visual search that implies intent and visual discovery that implies curiosity. While Google is well-suited for capturing consumers who know what they’re seeking, social platforms like Pinterest and Instagram also can excel in those moments when consumers search online and stumble upon brands and products that excite them. This distinction is important to understand as consumers develop new expectations around the visuals in their online shopping experiences. Also, more and more consumers want options such as lifestyle images, shop-by-look features to cater not to just search, but also to discovery. Visual discovery is an increasingly important marketing process that, when optimized well, can help drive stronger customer engagement and purchase during the critical holiday time and year-round. A global study, which surveyed 30,000 consumers across 60 countries, found that friends and family, TV ads and stores are the top sources of information about new products. The visual experience is essential in a world where sight is the most powerful sense to engage in any marketing context, online or offline. Images on social channels are the modern-day equivalent of window displays. They exist to capture attention and draw people in. Innovations including shop-by-look tools and virtual fitting rooms can evoke the real-world discovery experience by emulating the activities of browsing products, trying them on and getting help from a store associate. In this sense, the digital experience can feel more authentic and personalized. About 44 percent, of Internet users, said Pinterest is a great place to browse for things they might want to buy, according to the Internet Trends 2017 Report. That’s up from 33 percent in 2015. Also, about 72 percent of Internet users almost always search for visual content before making a purchase. According to a recent study, 78 percent of online shoppers said they want more images from e-commerce sites. Visuals have always been vital to online shopping. What’s changing is how consumers expect to use them in their discovery process and their journeys. Here are predictions on how visuals will influence the success of marketing strategies for this holiday season. Relevance in all the stages! Visuals can drive not only product discovery, but also education, purchase, and sharing. However, the visuals that are relevant in one stage might differ from those that are relevant in another. Visuals help retailers organize around the customer, not the channel. Because to the consumer, shopping is shopping, no matter where and when it happens. Touchpoints are everywhere, and consumers expect a consistent experience throughout all those engagements. Visuals have the potential to drive that consistency, because they thrive on all channels: search, social, display, email and e-commerce sites. Be on top this holiday season! Lifestyle images will heavily influence the holiday shopper journey. A powerful way to sell products is to put them in consumers’ hands. While this isn’t possible online, lifestyle images on social channels can provide the next best thing: let consumers imagine products in their hands, homes and lives and their friends and family. This is especially valuable during the highly competitive holiday season. Images will help win sales when they demonstrate usage as well as connect with consumers emotionally. It’s like reading their minds! Consumers see many of the same images today when exploring products and brands on social and search channels. But evolution in artificial intelligence and image recognition can bring marketers closer to personalization. Visuals are ideal mechanisms for driving discovery because they can capture attention, convey trust and ease worries when engaging with online products.